"First was Bolgheri, then came the Italian WWF". In 1959 Mario Incisa della Rocchetta decided to transform his waterfowl shoot, 180 acres of freshwater marsh surrounded by 1100 acres of forested swamp, wet meadows, pastures and arable land, into the first Italian private nature preserve. In 1966 he founded the Italian WWF together with Fulco Pratesi. 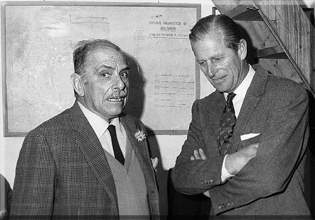 In 1970, as first President of the Italian WWF, Mario Incisa della Rocchetta invited the Duke of Edinburgh, International President of the WWF, to visit Bolgheri. The Bolgheri Wildlife Refuge, part of the Italian WWF protected areas' network, stretches for 1300 acres between the Genova to Rome railway and the sea, entirely within the Castagneto Carducci council area. It preserves the traditional Maremma Coastal landscape: plougland is enclosed by wooded hedges while closer to the sea pastures flood during winter. A unique feature of this site are the seasonal freshwater ponds surrounded by forest of Narrow-leaved Ash (Fraxinus angustifolia). The coastal forest, growing on old sand dunes, separates the marshland from the pristine beach. Here we find pioneer species that thrive on sand such as the Sea Daffodil (Pancratium maritimum), Sea Holly (Eringium maritimum) and the European Searocket (Cakile maritima). 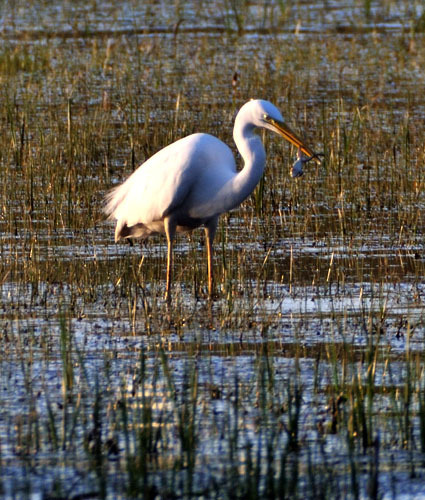 Because of its importance for many species of waterbirds, both wintering and spring migrants, In 1977 the Bolgheri Wildlife Refuge was among the first Italian wetland areas to be named a „Ramsar Site” (Wetland of international importance). The Bolgheri Bird Sanctuary is part of the EU's „Natura 2000” network, both as a Special Protection Area (SPA) designated for bird protection, and as a Special Area for Conservation (SAC), designated for species other than birds and for habitats. As such it is recognized as one of Tuscany's most precious natural areas. In winter and early Spring one can see flights of thousands of wading ducks (Mallards, Teals, Wigeons, Gadwalls, Pintails, Shovelers and Garganeys) over the Wildlife Refuge. 500 to 700 Greylag Geese, the Bird Sanctuary's symbol, winter in the Padule di Bolgheri wetland making it one of the most important wintering areas of the species in Tuscany. Lapwings also winter in Bolgheri with up to 1800 individuals. They are often found in the company of Golden Plovers. Sometimes tens of thousands of Wood Pigeons are found here in their coastal forest roosts. Snipes are also numerous as are various species of Herons among wich the very rare Bittern and the Cattle Egret. The latter can be found in night roosts of up to 700 birds. Wintering birds of prey include the Northern Harrier, the Marsh Harrier, the Merlin and the Peregrine Falcon. In the Spring many waders stop in the Wildlife Refuge: The Black-tailed Godwit, the Ruff, the Spotted Greenshank, the Redshank, the Wood Sandpiper, the Black-legged Stilt and the Avocet are the most frequent. The Purple Heron, the Squacco Heron, the Night Heron and the Little Bittern are the heron species that make a stop in Bolgheri during the spring. 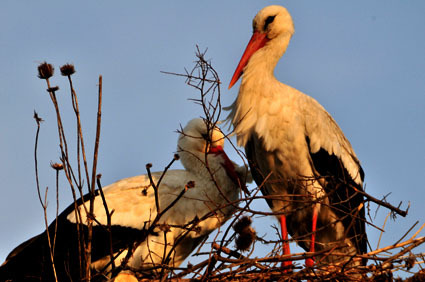 Since 2008 the Bolgheri Bird Sancturary hosts a pair of nesting White Storks, which have not nested in Northern Maremma for 200 years, and a nesting colony of Cattle Egrets, Little Egrets and Squacco Herons. The Golden Oriole, the European Roller (nesting since 1999), the Great Spotted Cuckoo, the Great Reed Warbler, the Reed Warbler, the Red-backed Shrike and the Barn Swallow are some of the Summer visitors that nest in the Wildlife Refuge. The Green Woodpecker, the Lesser Spotted Woodpecker, the Wryneck, the Treecreeper and the Robin nest in the flooded forest. 4-6 pairs of Kentish Plovers nest on the beach. These are small waders tied to sandy environments. 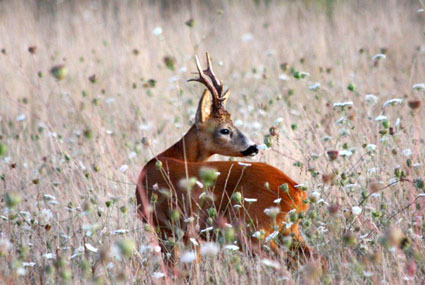 The Europena Roe Deer, the Fallow Deer, the Wild Boar, the Crested Porcupine, the Red Fox, the Pine Marten, the Beech Marten, the Least Weasel and the Hazel Dormouse are some of the Mammal species found in the Bolgheri Wildlife Refuge. Among the reptiles the European Pond Turtle, the Hermann's Tortoise and the Four-lined Snake have become rare in the Mediterranean basin but can still be found, as can the Green Whip Snake, the Grass Snake and the European Asp. Among the Amphybians are the Edible Frog, the Common Toad, the European Green Toad and the Great Crested Newt. The Padule di Bolgheri is open, previous reservations required (bolgheri@wwf.it). Saturday and Sunday, with two entrance times: 09:30 am and 2:00 PM. For groups and school classes visits are always held on the other days of the week, after reservation and on times to be agreed. For those who want to visit the Provincial Nature Reserve of Orti-Bottagone (www.wwf.it/orti.nt) on the same day a discount will be given by presenting the Padule di Bolgheri ticket. For photographers and birdwatchers there are dedicated accesses, at suitable times (dawn), and with specific rates, by reservation only. Reservations must be made by 5:00 PM two days before the chosen date. Reservations made by email are valid at receipt of confirmation. PRIOR TO VISITS THERE IS THE POSSIBILITY TO BECOME A MEMBER OF THE WWF OR RENEW ONES MEMBERSHIP SUBSCRIPTION. THE SUBSCRIPTION LASTS FOR 12 MONTHS AND ALLOWS FREE ENTRANCE TO ALL THE WWF OASI IN ITALY. The money collected through donations, subscriptions or entrance fees etc. will be used for the upkeep of the Padule. Through your visit you lend the Padule a precious hand, economically, morally and spiritually. 1. Flock of Cattle Egret (Bubulcus ibis) and Fallow Deer Stags. 2. Grey Heron Ardea cinerea. 3. Roe Deers and Egrets . 4. The "Oasi di Bolgheri".